If we had to sum it up in one word, this year’s Hull Shield would be described as scorchio!!! A dramatic contrast to last year’s event at Petersfield Golf Club which had to be played over only 9 holes due to torrential rain. 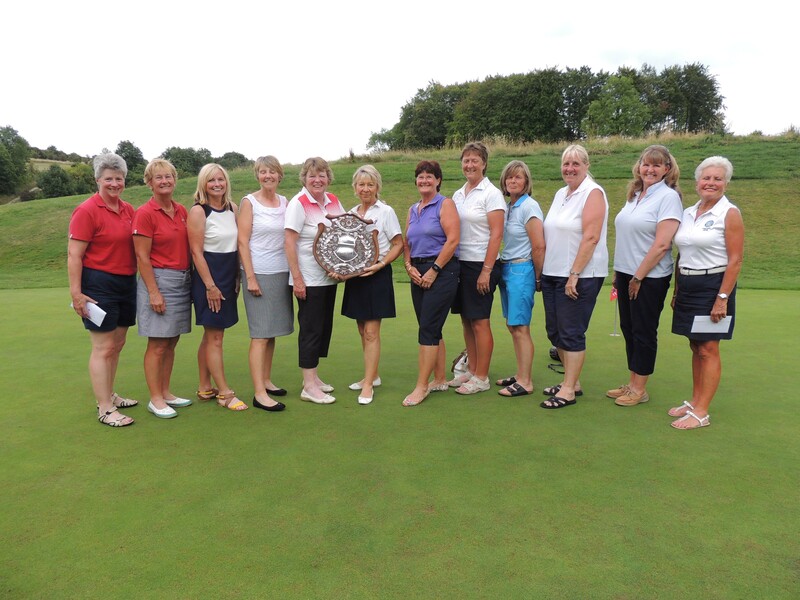 78 ladies from the 39 clubs entered arrived in good time at Hockley Golf Club and were greeted with perfect and glorious playing conditions. Sunshine prevailed all day on what must have been one of the hottest days of the year. A very gentle breeze made play bearable on top of the South Downs and good scoring was possible and achieved by a few. Ladies’ Captain Jean White, Vice Captain Wendy Evans and their Hockley ladies (and Howard!) were in great demand ball spotting but most of the players were hitting steadily but getting undone on the greens. Hockley greens are renowned as fast and true and so they proved with a stimp reading of 10.4 (average at Hockley is usually 9.7). The SSS at Hockley is 73 and only 4 ladies shot par (72) or better. Hazel Quarrington (off 9) from Portsmouth shot a magnificent 69 and with Teresa Paffett came 3rd. The Hull Shield is an aggregate competition with both scores totalled and it was tight at the top as the CSS rose to 74. Runners up with a combined 145 were Julie Newbold and Pauline Davies from Royal Winchester but winners by 1 were Hockley’s pair of Judie Lewis and Chris Quinn both shooting nett 72s. Well done to everyone for playing in such heat and for the many who stayed for the prize giving. Next year’s Hull Shield is at Alresford on Friday 1st September 2017.